Having worked with this client on several real estate purchases over the years, she contacted us and indicated she had found a townhome in Capitol Hill she was interested in purchasing and it was looking at offers in 3 days, so we sprang into action. 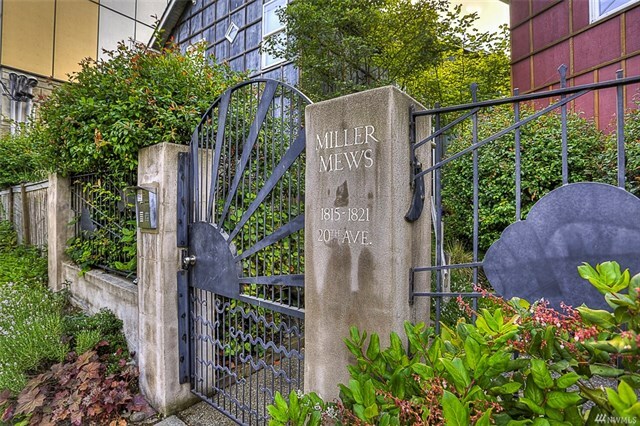 Looking to move closer to her son in Capitol Hill and wanting to move into a property that was lower maintenance than her current 1910s Craftsman home, she was looking to buy this great townhome in quick order. To get things going, we scheduled a pre-inspection for the following day so we could check out the systems of the house and make sure that everything was in working order. Then we did a market analysis to help determine how high on price we should write into the escalation clause. Once we determined the price max, we crafted the offer with an accompanying letter talking up the quality and fabulousness of our buyer and presented it to the Listing Agent. Only a few hours later, we heard the great news! Then we spent the next 3 weeks walking our buyer through to closing. Glad you found a great townhome near your family Cathy!